One of the aspects about God that we love to teach our kids is that He is Creator. Really, that’s like the first thing they need to learn and know and trust through faith – God created them and all they see. He is the Creator and therefore in charge. 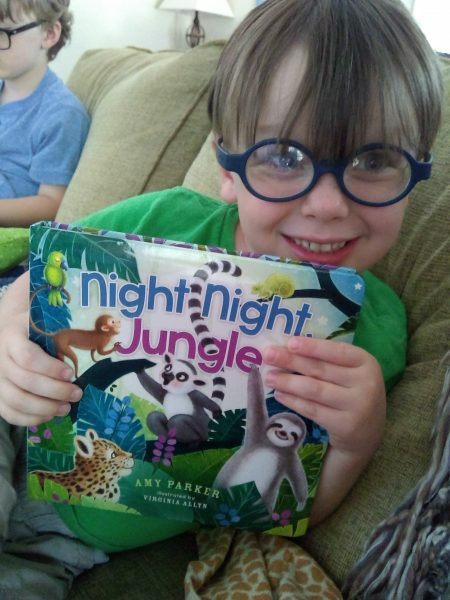 This little board book, Night Night Jungle, is a great book to remind them of so many of the animals and trees that God created. It is a snuggly book to read while you are tucking in your kids. One of my boys love animals. So, as we were reading this he wanted to tell me all the facts about these animals that he saw in the book, they took turns pointing out and naming the different animals, and tip-toeing around the “jungle” in their pajamas. If you would like a copy of this through Tommy Nelson (who also gave me this book in exchange for a review), then just ask you kids what their favorite animal is and leave it in the comments. My boys’ favorites are cheetahs and jaguars. I didn’t always love to read. I went to a Christian school and read when I had to. I remember reading Sweet Valley High, John Grisham novels, and The Babysitter’s Club. Also, started reading the Bible and Max Lucado books when I got to high school. I didn’t read any of the classics growing up – I waited and have read some as an adult. Now, I love to read, and I want to make sure my children read well as they grow up. It is such an important discipline, it can be fun, and will prepare them well for adulthood. 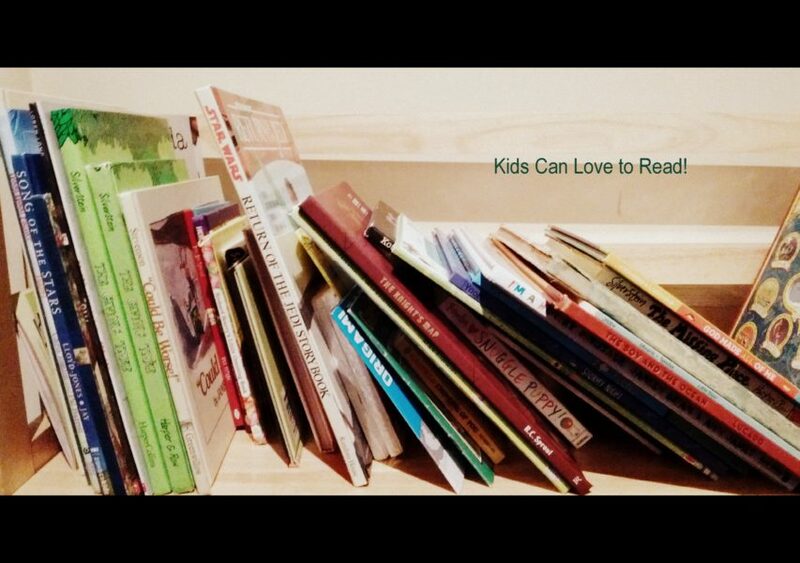 I’ve teamed up with my friend Leah Finn to provide yall with some tips on how to raise kids who love to read. Most of her children are older than mine and are reading on their own. Believe me, even if your kids aren’t reading on their own yet, you can still instill in them a love of books and reading. Let them pick out books they are interested in. Even if it is silly/not high literature (as long is it is appropriate). There is great joy in going to a library and being able to bring home a stack of books that you like. Kids love it and it helps them be interested in the books. How this is illustrated in our family is that for our older’s 4th birthday, he went on a day-date with Daddy. This year they went to our local library and picked out lots of dinosaur books. He came home and was all excited about reading and looking at the dinosaur books. One bit I would add is maybe pick out one or two for them each week in a different genre. This might broaden their horizons to the classics, biographies, or just a different topic. Read aloud classics and quality books. This is where they can get their “good” books in. Use voices and expressiveness to engage their interest. Read Aloud Revival is a great resource for finding books to read aloud. Kids are never too old to be read to. I love walking down the stairs most mornings to find my husband reading to our younger son. This is some great bonding time for them in the early mornings. And I love the time when I’m putting my older to bed, when I get to read aloud to him. Right now we are almost finished with Little House in the Big Woods and I’m eager to complete the series with him. I’ve also read some of the Narnia series with him. Use audiobooks to squeeze in extra reading time This can be in the vehicle while you travel, during rest time, while coloring or playing with legos, etc. I need to get better at this, and I think it will come as they get older. But, I do have the Narnia series on audio cd and I adored listening to them as an adult, and then read all the books (which I hadn’t done as a child). One of the ways I’m always introducing new books to my children, is by being a part of Tommy Nelson Mommies. This month, we were given One Small Donkey. This book is great for preschoolers. It is told through the voice of a small donkey about the journey of Mary and Joseph to Bethlehem. It is a fun little story and teaches some truths about Jesus, creation, and worship at the manger. It takes some liberties, but it really is just a cute story you can read with your children. You can read it to them, then read the Bible story of the same account, talk about different aspects of truth and Christmas with your children. If you would like to win this book for your own family library, just leave me a comment about which one of these tips above you incorporate into your parenting – or one you would like to include. Thanks Leah for helping me with this post, and thanks Tommy Nelson for the book. Thanks for stopping by. I'm Kim. I love God, my wonderful husband, my two adorable boys, and all things creative. To learn more about me, check out the Meet Kim page!